Adobe has added a line of new collaboration and publishing features to its Creative Cloud service, in an update that takes in major desktop applications including Photoshop, Illustrator and InDesign. 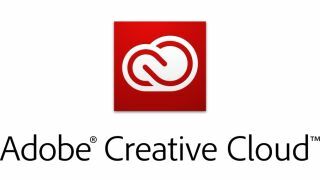 The line was first announced in May, when Adobe said it would concentrate new developments on Creative Cloud, at the expense of its Creative Suite 6, providing an incentive for customers to take the cloud service rather than the installed software. The strategy has prompted complaints from some customers but Adobe is apparently remaining committed to the approach. New features for sharpening images and designer workflow changes for Photoshop. More flexibility for the Touch Type tool in Illustrator to move, scale and rotate text characters. Integration of Illustrator with Behance, Adobe's online showcase for visual portfolios. New video editing features in Adober Premier Pro CC. Adobe is also promising further developments in its Edge Animate tools. "In addition to the traditional areas of innovation these apps are now connected to the powerful publishing and community features integral to the Creative Cloud experience," said David Wadhwani, Senior VP and General Manager, Digital Media, Adobe. Check out the hands on reviews of the new versions of Photoshop, Illustrator, Dreamweaver, After Effects and InDesign from our colleagues at Creative Bloq.